Home PAGASA PAGASA Weather Update for PAENG as of 5:00 PM September 2018. PAGASA Weather Update for PAENG as of 5:00 PM September 2018. 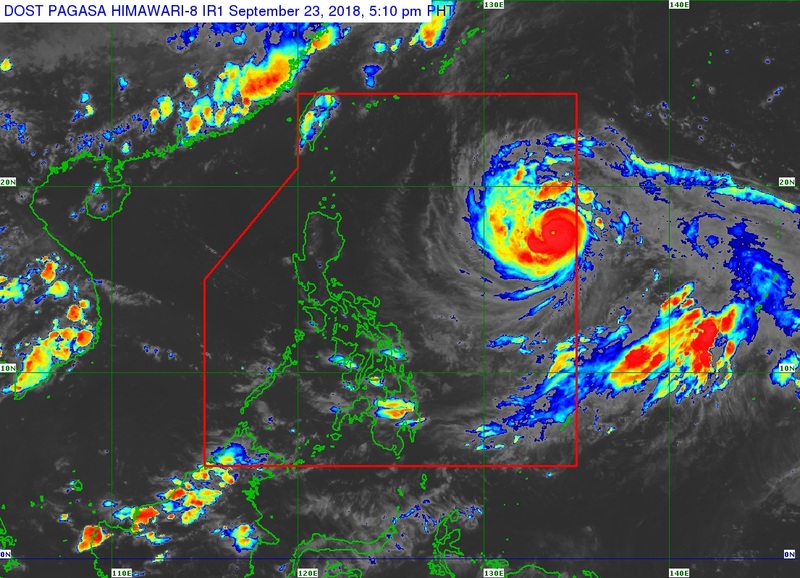 THE TYPHOON WITH INTERNATIONAL NAME "TRAMI" HAS ENTERED THE PHILIPPINE AREA OF RESPONSIBILITY (PAR) AND WAS NAMED "PAENG". Typhoon "PAENG" has no direct effect yet in any part of the country. Typhoon "PAENG" may affect the extreme Northern Luzon (Batanes - Babuyan Group of Islands) around Friday (Sept. 28). Possible hoisting Tropical Cyclone Warning Signals over extreme Northern Luzon by Thursday (27 Sept.) or Friday (28 Sept). Possible issuing Gale Warning over the seaboards of Northern Luzon as the Typhoon approaches. No significant enhancement of the Southwest Monsoon is expected during the outlook period.